We believe in the Great Commission, and obligation we have to share the good news of t he Gospel with a lost and dying world. Because of our commitment to spread the Gospel, several times a week we visit door-to-door in local communities presenting the gospel message, inviting residents to visit with us, and identifying those who have spiritual needs. We have seen God’s blessing upon our church because of our dedication to His command, and nearly every week we are blessed to see souls come to know Him because of this ministry. And this gospel of the kingdom shall be preached in all the world for a witness unto all nations; and then shall the end come.” (Matthew 24:14) I pray that what you read on this page will encourage you to become a laborer for the Lord. Perhaps you have been looking for that special way in which God would use you to witness. Maybe He is directing you now through this message to become a part of a Tract Ministry. Why not begin today and let God use you to help lead others to Christ! Success in witnessing is simply sharing Christ to others, always need variety of tracts for free distribution. It is our prayer to distribute tracts through a variety of means. 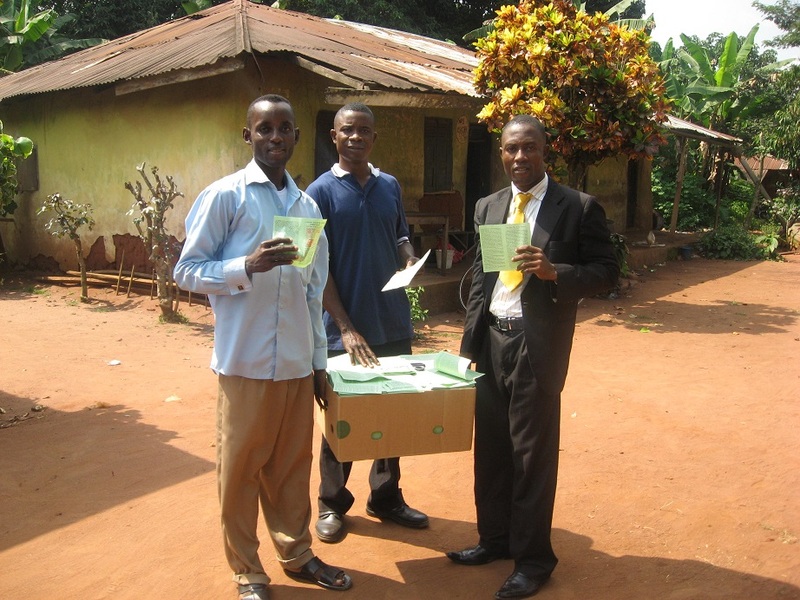 Primarily, we distribute tracts to individuals we meet in our day-to-day activities. Additionally, we perform door-to-door visitation. Every Christian should seek to win souls. Our Tract Ministry, seeks to encourage everyone to sow the seed of the Gospel through tract distribution. Participants are encouraged to distribute gospel tracts to those they encounter each day.